Forward-looking: Televisions today are amazing. With technologies such as 8K, HDR, and numerous smart functions, where do we go from here? Judging from a Samsung patent, the next step is to make them wireless. Dutch tech site LetsGoDigital discovered the recently published patent for a cable-free television, which was filed by Samsung Electronics with the World Intellectual Property Office last year. Placed between the TV and the wall is a thin bar, which acts as a receiver that powers the television. The unit, which would house a double coil wound in both directions, draws current from the electromagnetic field generated by a base station. The concept works in the same way as wireless chargers, except there is a gap between the receiver and base station. Additionally, the wireless transceiver would feature a pair of speakers, allowing it to double as a sound bar—an improvement over the usual built-in TV speakers. There are some questions regarding this system, such as how close the screen needs to be to the transmitter, and whether it could interfere with other wireless signals. We’ve heard about future versions of the same technology that could see smartphones charged inside your pocket as soon as you enter a room. 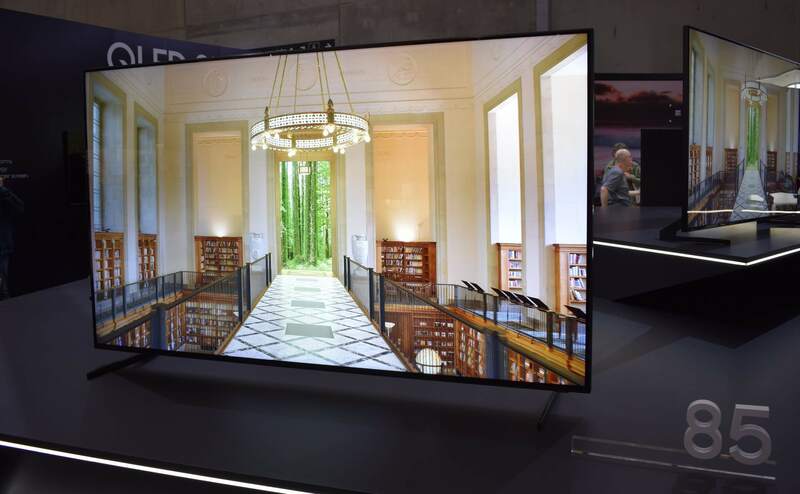 Samsung already has the One Invisible Connection—a single cable that brings both power and AV data to its televisions—but a move toward TVs with no wires is something most consumers will likely appreciate.